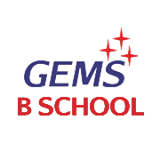 Welcome to GEMS, the B-School with a difference. We are sure you want to know what the difference is? Right from the ambience, curriculum, methodology, faculty and the conditioning, everything is going to be unconventional and different, all with a specific purpose. Great Eastern Management School GEMS, Bangalore offers various graduate courses as well as Post Graduate courses. List of facilities available at Great Eastern Management School GEMS, Bangalore for students. This page was last modified on 1 February 2016 at 20:02.